Let’s start with the specifications we’ve got so far. Bear in mind that Gigabyte are a relatively small company and their tablets are often build to spec for large orders so what’s possible in terms of specifications, might not be available. 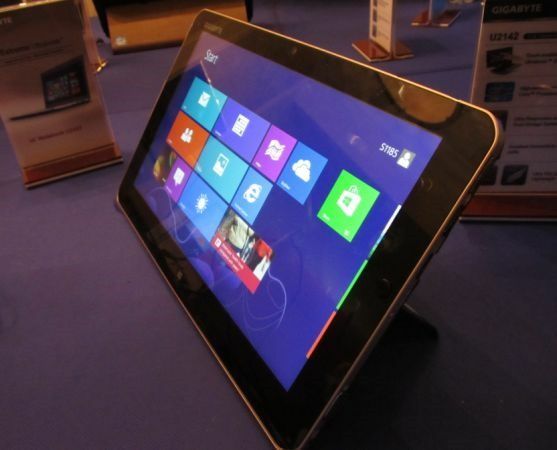 11.6” fullHD IPS screen with integrated optical mouse pointer and mouse buttons on the frame. This feature is extremely useful for two-handed Windows desktop use. There’s no detailed information on the battery capacity at this stage although Gigabyte are saying 7-8hrs. The Gigabyte S1185 is typical of Gigabyte tablet offerings. With the optical mouse and kickstand they’ve once again offered features that will appeal to the pro user. We hope they also release a desktop docking station that could make hot-desking even easier. Here’s a video from Liliputing. Click or more images too. Hat-tip to Engadget. 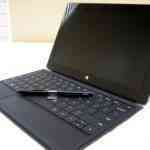 « Surface Pro Latest Details from The Verge + Chippy Analysis.